Arrow Exterminating has been serving Long Islanders and New Yorkers for more than sixty years—since Bernard Stegman founded the company in 1947. Now under the management of his daughters; Jackie Grabin and Debby Tappan, Arrow is one of the largest pest control companies in the New York metropolitan area. We’ve always been willing to take on problems others won’t, and to do whatever it takes to help our clients. We are always accessible. 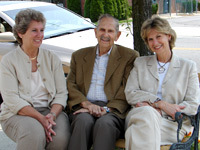 When Bernard Stegman founded the company, he gave clients his home phone number. We try to be just as accessible today, and always give free phone consultations. We inspect every property carefully before deciding on treatment. Each account is reviewed on an individual basis. Since no two pest problems are exactly alike, we devise a personalized strategy for pest control centered around the unique needs of each customer. We rely on expertise far more than pesticide to get the job done. We have a fulltime, board-certified entomologist on staff to help us understand the way insects behave, to make our treatments as effective as possible. 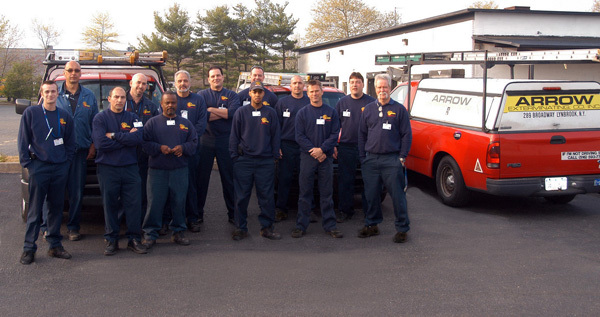 Our staff receives extensive training, and many have been with us for several decades. We know the quality of our staff determines the quality of our company, and we’re very proud of the team we have. Thanks, we appreciate your positive feedback! Our theme was chosen from the long list of designs available from WordPress, and the only customization involved was to augment the existing theme with company photos. Good luck with your own blog and thanks for checking out ours.